Unidentified gunmen have opened fire at a Shia mosque in Bangladesh’s northwestern Bogra district, leaving one dead and three injured. 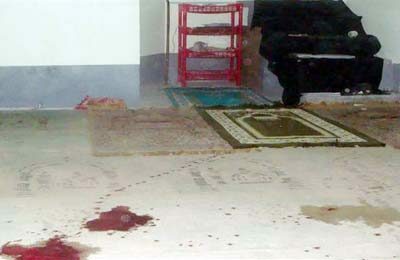 Arifur Rahaman, additional superintendent of police in the district, told journalists that the attackers opened fire in the mosque after the Maghrib prayer on Thursday night. Bogra is some 197 km northwest of the Bangladesh capital, Dhaka. “All the injured have been rushed to a nearby hospital where one succumbed to his injuries, the condition of the other three injured are now stable,” he stated. Two people were killed and more than 100 were injured as three bombs were detonated at Shia gatgerings on October 24 in Dhaka. ISIS had claimed responsibility for the bombings, but the Bangladesh Police said it was the handiwork of local banned extremist group, JMB, campaigning for the establishment of Islamic rule in Bangladesh.